Hugh Gray was walking along a loch after church when he spotted a brouhaha in the nearby water. As he looked on a massive creature rose up from the lake. The quick-thinking Scotsman took several pictures of it (why he had a camera when he had been to church is anyone’s guess). Only one of the pictures he took on November 12, 1933, turned out; it looked a lot like a plesiosaur frolicking in the water. Some naysayers suggest it looked more like a dog carrying a stick swimming towards the camera, but the legend of the Loch Ness Monster was born nevertheless, as was the science of cryptozoology, the study of animals that don’t exist (such as Bigfoot and Alien Big Cats). While Nessie, as those on a first-name basis call it, is a bona fide cryptid, the monster that showed up on a beach just south of Florence, Oregon, on November 12, 1970, was not. It was the real thing – an 8-ton, 45-foot-long sperm whale. For a while the creature, which had been dead for some time, was a curiosity for locals and visitors alike, something more dramatic than the typical flotsam and seashells they usually found on the beach. But then it began to smell. The task of dealing with the carcass fell to the state Highway Division, and it presented a monster problem. If the carcass were buried, it would simply be uncovered by the ocean tides. Oregon officials consulted U.S. Navy officials (division of cetacean disposal) and hatched the ingenious plan to blast the behemoth into a billion bits of blubber using a bunch of dynamite – little morsels that would then be devoured by seagulls. The engineer in charge of the operation said that he wasn’t exactly sure how much dynamite would be needed, but a half ton of dynamite was finally applied to the carcass. Walter Umenhofer, a military veteran with explosives training, happened to be beachcombing at the scene. He warned the engineer that the amount of dynamite he was using was a tad excessive – 20 sticks was about right, not the 20 cases that were being used. Umenhofer said the engineer was not interested in his advice. Needless to say, the explosion didn’t go as planned. The blast pulverized only part of the whale, sending pieces soaring — not toward the ocean, as hoped, but toward people watching from the dunes. No onlookers were seriously hurt, but they were pelted by bits of smelly blubber. And as an added thanks for butting in, Walter Umenhofer’s brand-new Oldsmobile was flattened by a chunk of falling blubber after the blast. He had just bought the Ninety-Eight in Eugene, during a “Get a Whale of a Deal” promotion. After onlookers scurried away, the Highway Division crew buried the remaining whale. The seagulls who were supposed to dine on whale tidbits were found wandering in a daze in Utah and Wyoming. 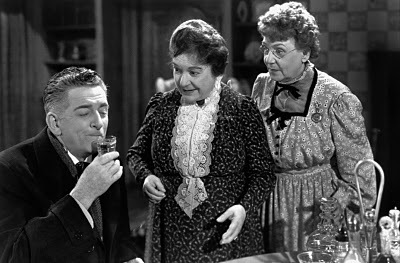 In Arsenic and Old Lace, a delightfully dark stage play adapted into a movie by Frank Capra, Mortimer Brewster (Cary Grant) has an eccentric family that includes two brothers – one of whom thinks he’s Theodore Roosevelt digging the Panama Canal in the basement, the other a killer who’s had plastic surgery to make him look like Boris Karloff – and two spinster aunts who have taken to murdering lonely old men by poisoning them with home-made elderberry wine laced with arsenic, strychnine, and “just a pinch” of cyanide. 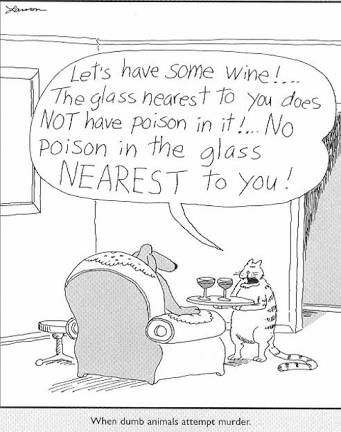 Generally, poisoners aren’t as sweet as these two old ladies. Take the case of Shirley Allen, arrested on November 6, 1982, charged with murdering her sixth husband Lloyd. Shirley certainly wasn’t as sweet as the two old ladies, nor nearly as successful. Her first attempt at poisoning was believed to be an early husband, Joe Sinclair, back in 1968. When his coffee began to taste odd, he didn’t buy the idea that it was the newest flavor of the month, reasoning that Juan Valdez Free Trade Almond Praline Decaf should not give him internal injuries. Joe went to the police, but no charges were filed. He filed for divorce, however. Another husband, John Gregg, was not so lucky. He died a year after he married Shirley. He must have sensed that something was amiss because he changed the beneficiary of his insurance policy shortly before he died. Shirley got nothing. As you might guess, she was miffed. A pink-haired, large-bosomed barfly was rather happy, however. Lloyd Allen was Shirley’s sixth husband. He began to complain of a strange taste in his beer. When Shirley said that it was an iron supplement that would put a tiger in his tank, Lloyd believed her and promptly died. This time she was named as beneficiary of a $25,000 life insurance, but alas her daughter told police about the doctored beers. Toxicology reports confirmed that Lloyd’s body tissue contained a lethal amount of ethyl glycol – antifreeze. Shirley went to prison for life. She was never allowed to work in the prison cafeteria. 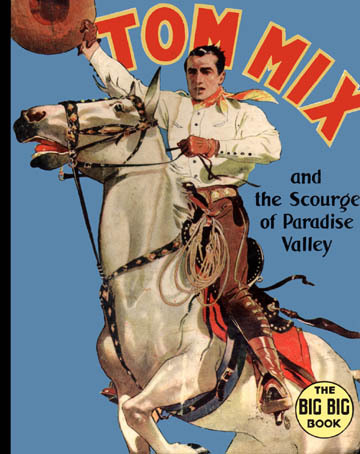 According to his press agent, Tom Mix, the star of 291 full-length westerns was the real thing – a genuine, actual cowboy hero of the American Wild West; born under a sagebrush in Texas, veteran of not one but three wars (Spanish-American War, Boxer Rebellion and Boer War); a sheriff in Kansas, a marshal in Oklahoma, a Teddy Roosevelt Rough Rider and a Texas Ranger, to boot. Seems, however, he was really born in Driftwood, Pennsylvania, deserted the Army in 1902; marched in a Rough Rider parade, and was not quite a lawman but a so-so drum major in the Oklahoma Territorial Cavalry before heading off to Hollywood in 1909. Nevertheless Mix became one of the top silent-film stars, at one time the highest-paid actor in Hollywood. Unfortunately, like many silent film stars Mix had a difficult transition to talkies. His squeaky voice didn’t match his beefy cowboy image. On October 12, 1940, having traded in his faithful horse Tony for a bright yellow Cord Phaeton sports car, Mix was speeding north from Tucson at 80 mph when he failed to notice a sign warning that a bridge was out on the road ahead. The Phaeton swung into a dry wash, and Mix was smacked in the back of the head by one of the heavy aluminum suitcases he was carrying in the convertible’s backseat. The impact killed him instantly. 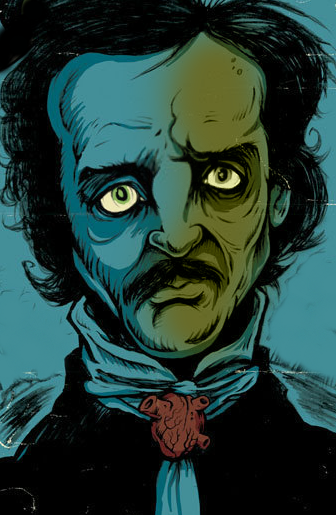 Edgar Allan Poe is known for his tales of mystery and the macabre, and his death was itself mysterious. He was found delirious on the streets of Baltimore, Maryland (by some accounts, in a gutter), wearing somebody else’s clothes, and was taken to the Washington College Hospital, where he died at 5 a.m. on October 7, 1849. The cause of death, depending on which story you accept, was suicide, murder, cholera, rabies, syphilis, influenza, or pecked to death by a raven. Because Poe was found on the day of an election, it was suggested that he might be a victim of cooping, a method of ballot-box-stuffing scam that entails shanghaiing and drugging some poor sucker and having him vote at multiple locations. It was also rumored that Poe was just good and drunk with liquor administered by his own hand, but this appears to be another of the many falsehoods swirling about his death. Much of the information about the end of Poe’s life comes from his attending physician a man whose credibility is less than impeccable. After Poe’s death, Rufus Wilmot Griswold wrote his obituary under the pseudonym “Ludwig”. Griswold, was actually a fierce rival of Poe’s who somehow became his literary executor (with an executor like him, who needs enemies?). Griswold also published Poe’s first complete biography, depicting him as a depraved, drunken, drug-addled madman, using such literary techniques as forged evidence to produce a portrait of Poe that would have lasting effect. Poe was buried after a small funeral at the back of Westminster Hall and Burying Ground, but his remains were moved to a new grave with a larger monument in 1875. And there the mystery of Edgar Allen Poe would continue with 60 years of visits to his grave by a cloak-and-dagger individual known as the “Poe Toaster” – as in “to your health” not a device to brown bread.